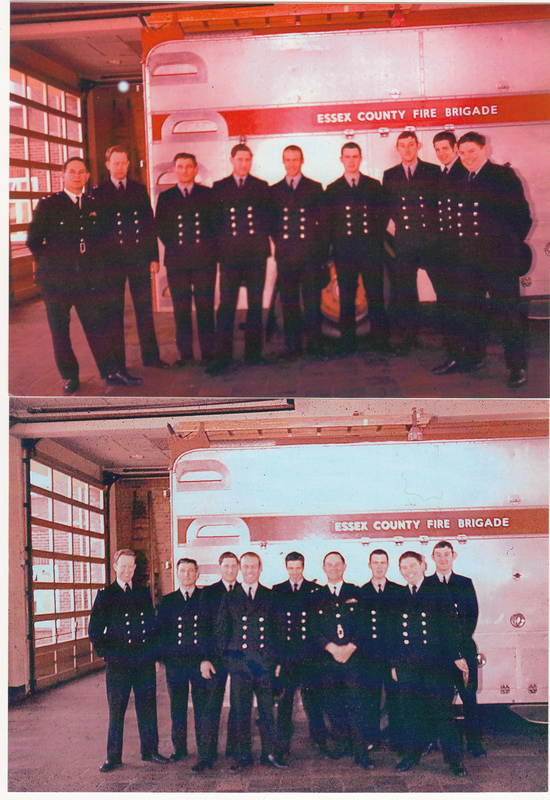 This is a photo of the Blue Watch at Tilbury Fire Station. A couple of faces are Jim Hudson and Ronald Turrell. Do you recognise anyone else? Bottom photo left to right. John Waggon, Ron Turrell, Clive Cowling, Terry Bernie? Mick……? Standing alongside the Pump Emg Salvage Tender.